Korea, Japan to host a traditional dance event in Seoul. September. 07, 2018 08:11. by Kyu-Jin Shin newjin@donga.com. At 7:30 p.m. on Monday, a joint performance titled “Together: Finding the origin of Korea-Japan exchange” will be held at the grand theatre of Chung-Ang University Art Center by Korea Japan Cultural Exchange Council. Marking the seventh iteration, the show will present traditional dancing performance from both Korea and Japan, in honor of the 20th anniversary of the proclamation of partnership of former South Korean President Kim Dae-jung and former Japanese Prime Minister Keizo Obuchi. 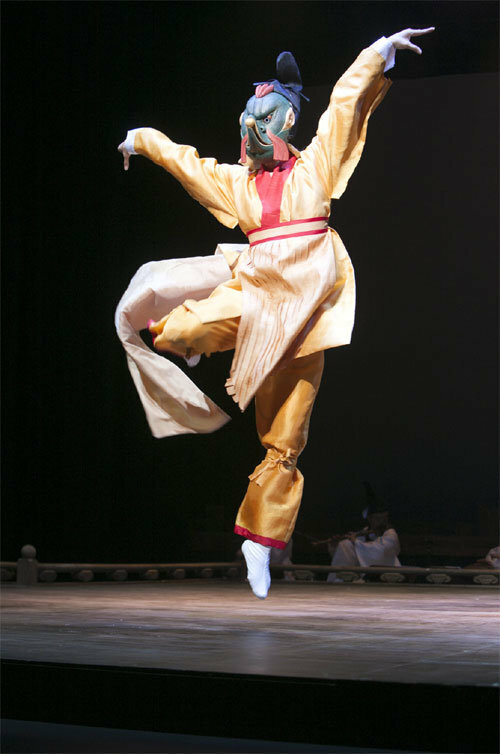 The first half of the show directed by Kook Soo-ho, the head of Didim Dance Company, will present parts of Bongsan Talchum, a traditional Korean dance performed with a mask on, such as Nojang-chum, Miyal Halmi-chum, as well as Saja-chum. The show will also feature the performance of traditional musical instruments such as daegeum and haegeum, referring to a Korean transverse flute and a string instrument, respectively. Japanese delegates will show a silent masked drama performance called Gigaku. A dance show characteristics of a traditional march performance will be presented along with an angry lion performance. A Korean classical music band “Tago” will celebrate the show with a special performance. Sponsored by the South Korean Ministry of Culture, Sports, and Tourism and the Japanese Embassy in Korea, the show will offer free admissions.